Take a look at this article to learn how to create a Docker image for your ORDS instance now that Oracle has added it to the Docker build family files. Oracle has added Oracle REST Data Services (ORDS) to the Docker build files family on GitHub, which means that you can now easily dockerize ORDS. If you don't know yet what ORDS is, it's a free technology from Oracle that allows you to REST-enable your Oracle databases. More specifically, with ORDS you can just fire off regular REST calls to modify or retrieve data from one or many Oracle databases without having to know how to write SQL (not that knowing SQL is a bad thing!). In modern application and microservices architectures REST has become more and more popular for exchanging information. 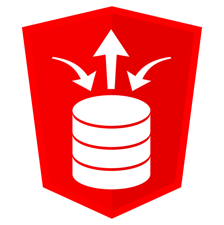 ORDS enables you to easily exchange data from and to Oracle databases via REST without having to write lines and lines of code yourself. For more information on what ORDS is and what it can do, check out Jeff Smith's blog post about ORDS. Proxy settings were found and will be used during build. Step 2/10 : LABEL maintainer "gerald.venzl@oracle.com"
Step 3/10 : ENV ORDS_HOME /opt/oracle/ords INSTALL_FILE ords*.zip CONFIG_PROPS "ords_params.properties.tmpl" STANDALONE_PROPS "standalone.properties.tmpl" RUN_FILE "runOrds.sh"
Build completed in 19 seconds. There is one last thing to add here: by default the buildDockerImage.sh script runs a md5sum checksum on the ORDS zip file just to make sure that the file is intact. You see this as the very first output of the build script. You can skip that checksum by passing on the -i option. In general there is no need to skip the checksum step, however, ORDS releases on a quarterly basis and it may be the case that the GitHub repo hasn't been updated with the latest checksum files yet. In such case you can still build your latest and greatest ORDS Docker image by bypassing the checksum via -i. Now that you have an ORDS Docker image it's time to run an actual container of it. As ORDS is a REST server in front of an Oracle Database you will need an Oracle Database that ORDS can REST-enable for you. I already do have my Oracle Database Docker images on the same machine and so I will go ahead and REST-enable a database within a Docker container. However, I should point out that having an Oracle Database inside a Docker container is no requirement for running ORDS inside Docker! In fact, you can quite happily manage many Oracle databases with ORDS, regardless where your Oracle databases are running, Docker, locally, on a server, in the cloud, etc. If your Oracle Database is not running inside a Docker container, you can skip this step! If your Oracle Database is not running inside a Docker container, you can skip this step! See Creating an Oracle Database Docker image for how to run Oracle Database in Docker. Once you have all of these you can go ahead and run your ORDS Docker container via the docker run command. Note: Because my database is also running inside Docker, I will have to specify the --network parameter in order to allow the two containers to communicate. The hostname for my database host inside the Docker network is the same as my Database Docker container name. I will therefore use -e ORACLE_HOST=ords-db. If you do not have the Oracle Database running in Docker, you can skip the --network parameter! Now that ORDS is up and running, you can start REST-enabling your database. Note that all configuration files are within a volume, in my case -v /home/oracle/ords:/opt/oracle/ords/config/ords:rw. If you would like to change any of the ORDS configuration, you can just do so in the volume and then restart the container, if needed.